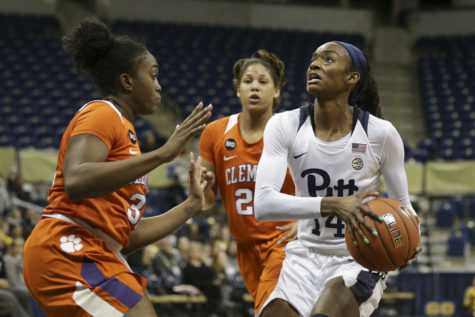 Graduate transfer center Brandi Harvey-Carr continues to excel with the Pitt women’s basketball team, but it wasn’t enough to avoid a lopsided defeat Sunday against the No. 8 Louisville Cardinals. 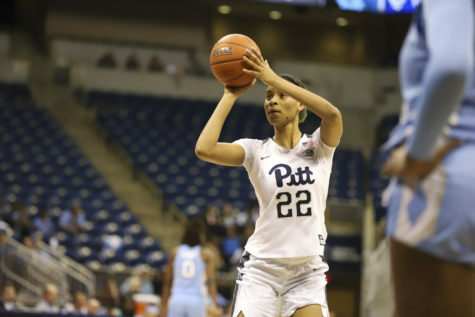 Despite a career-high 25 points from the 6-foot-4 Harvey-Carr, the Panthers (10-6 overall, 1-2 ACC) suffered a 73-52 loss against the Cardinals (15-3 overall, 3-1 ACC) at the KFC Yum Center in Louisville, Kentucky. 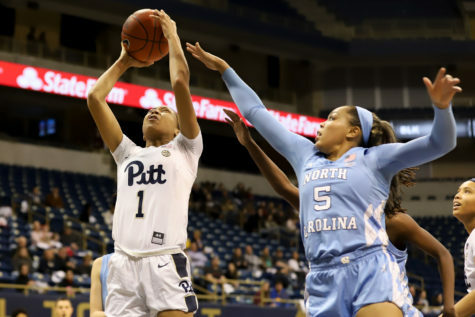 The final score wasn’t close, but Pitt did manage to give Louisville a scare early on and nearly pulled off a second-half comeback before the Cardinals handily dispatched the Panthers late. 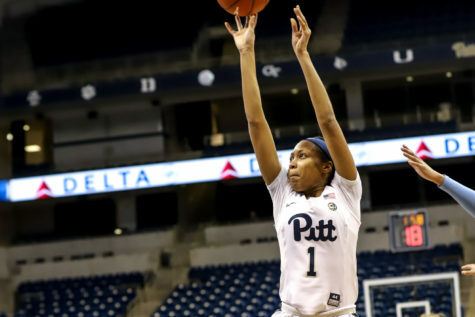 The Panthers held Louisville’s leading scorer Asia Durr to just three points on 1-of-9 shooting, but four other Cardinals scored in double figures, led by 18 points from junior forward Mariya Moore. 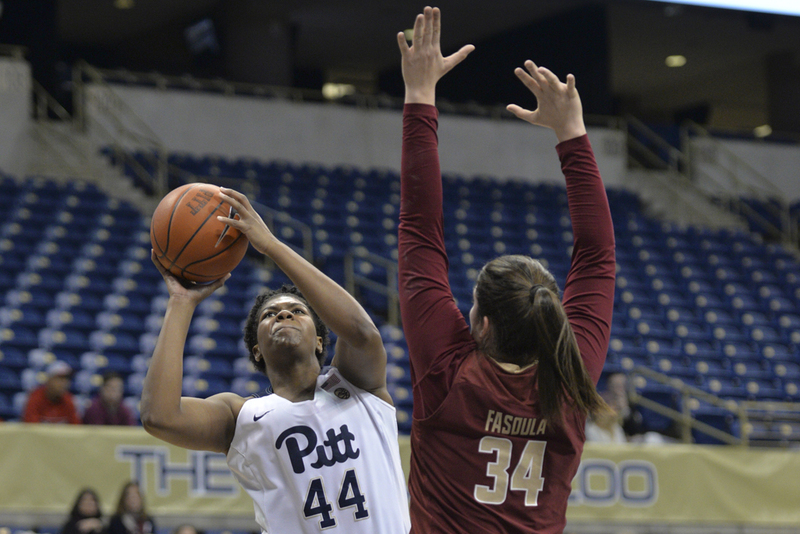 Meanwhile, Harvey-Carr was Pitt’s only player to reach double digits on the afternoon. Early on, it looked like a massive upset could be in the making. Louisville scored first and jumped out to a 5-2 lead, but the Panthers then put together a 10-2 run to take a 12-7 lead a little more than three minutes into the game. 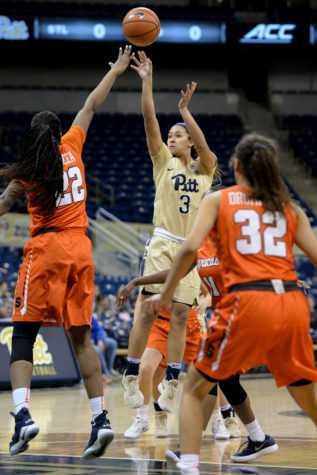 Harvey-Carr added two more layups to give her 10 points in the first quarter, and graduate transfer forward Destinie Gibbs drained a jumper to make it 18-13 Pitt. The Cardinals then closed out the quarter on a 6-0 run to take a one-point lead and completely change the tone of the game. Louisville’s run continued into the second quarter, as the Cardinals turned a five-point deficit into a 10-point advantage with 3:58 left in the half by way of a 17-2 run. The teams then traded two buckets apiece and Louisville took a 34-25 lead into the break. 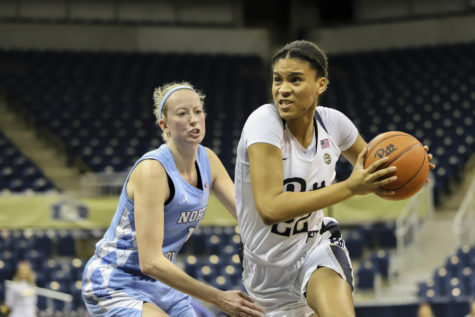 The Panthers fell behind by 11 to start the second half, but refused to quit against their highly favored opponent. 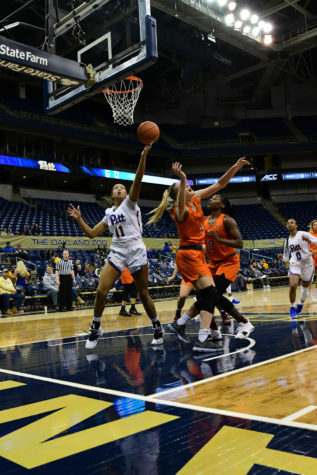 Junior point guard Aysia Bugg followed a Harvey-Carr layup with one of her own for Pitt, then true freshman guard Alayna Gribble nailed a 3-pointer. Sophomore forward Brenna Wise added a jumper, and Harvey-Carr contributed another layup to cap an 11-2 run. The Cardinals’ double-digit lead had dwindled to two at 38-36 midway through the third quarter. 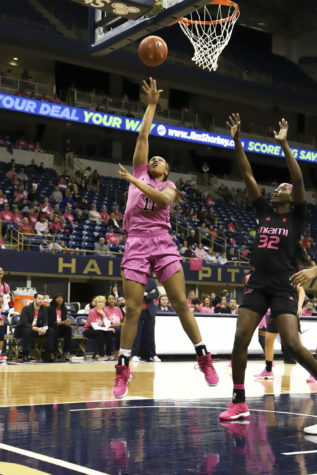 Louisville responded with a 9-0 run of its own to make it 47-36 with 2:30 left in the quarter, but a jumper from sophomore forward Kauai Bradley along with two free throws and another layup from Harvey-Carr cut the Panthers’ deficit to five. 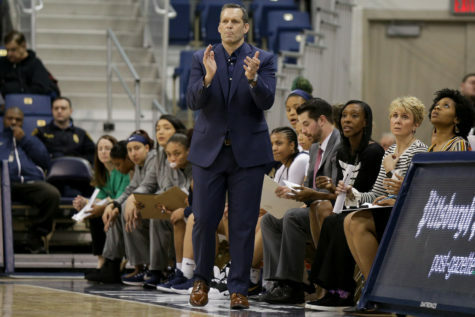 Moore then closed the third quarter with a buzzer-beating 3-pointer to give the Cardinals a 52-43 lead and all of the momentum entering the final quarter. Louisville capitalized on that momentum, as Moore hit another three to open the fourth quarter followed by a free throw and a jumper. Cardinals forward Kylee Shook then added a jumper to finish off an 11-0 run, giving Louisville a commanding 60-43 lead. 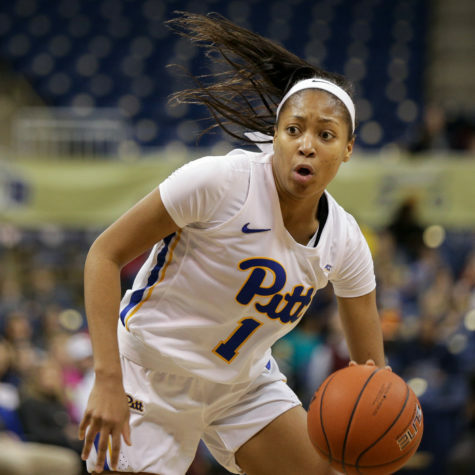 The gap proved insurmountable for Pitt, as the Cardinals controlled the game the rest of the way for a 73-52 win. The Panthers will make another attempt at an improbable upset next time out when they travel to South Bend, Indiana, to take on the No. 7 Notre Dame Fighting Irish Thursday, Jan. 12. Tipoff is at 7 p.m.